This year I decided not to knit any Christmas gifts. It was such a relief to remove that pressure from myself. However, just because I wasn't knitting Christmas gifts, did not mean my niece and nephew had to go without a handknit hat for Winter. The hat for my nephew was easy. 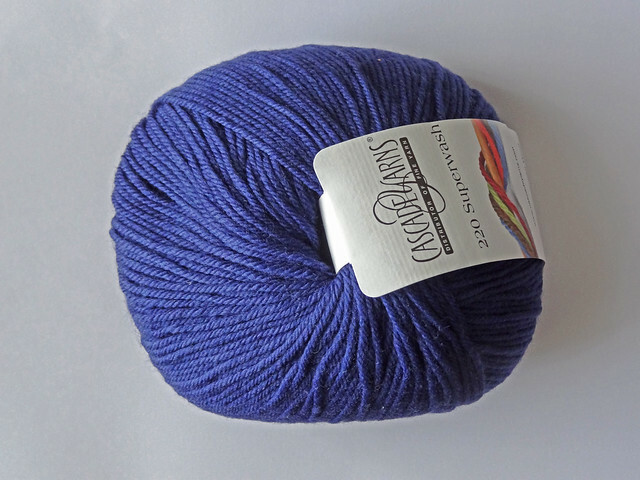 I have a few skeins of Cascade 220 Superwash in my stash. 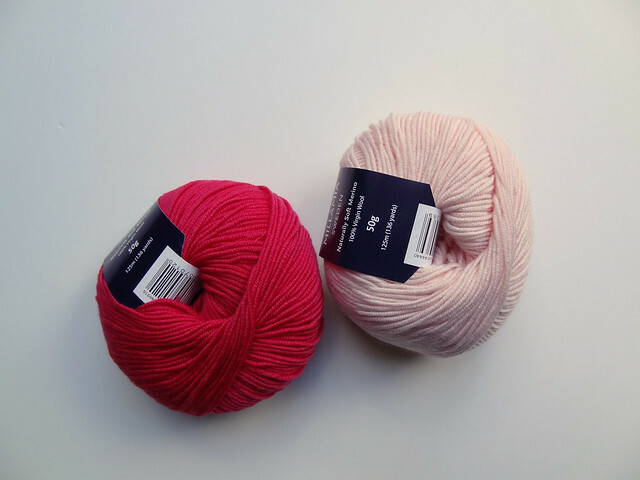 It's my go to yarn for kid friendly projects as it is both machine washable and can be tumble dried (which, apparently, is VERY important as kids generate an awful lot of washing and having to dry stuff flat in Winter in a smallish house is not fun). I picked out a good colour for my nephew, a strong blue colour, In The Navy (885). I knew this would be a good colour on him as we have similar colouring. I decided to go for a simple hat pattern that I've heard people rave about since it came out, Barley by Tin Can Knits. This is a free pattern and it is simple, but has enough to keep it interesting. I think it really shows off variegated and handspun yarns brilliantly, even though I didn't use either. 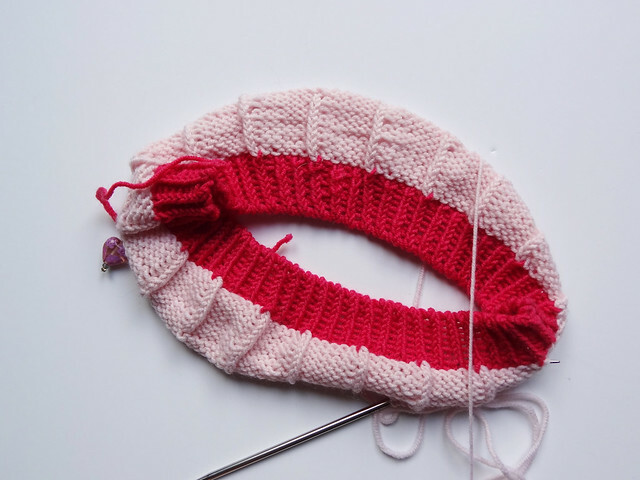 It is a very good pattern for a beginner knitter as it is full of clear instructions and links to tutorials for every stage of the pattern. One thing I did differently, was to use the Alternate Cable Cast On, as I think this method looks great for ribbed cast ons, especially with hats. Other than that change I knit the hat precisely as written and it whizzed off my needles. 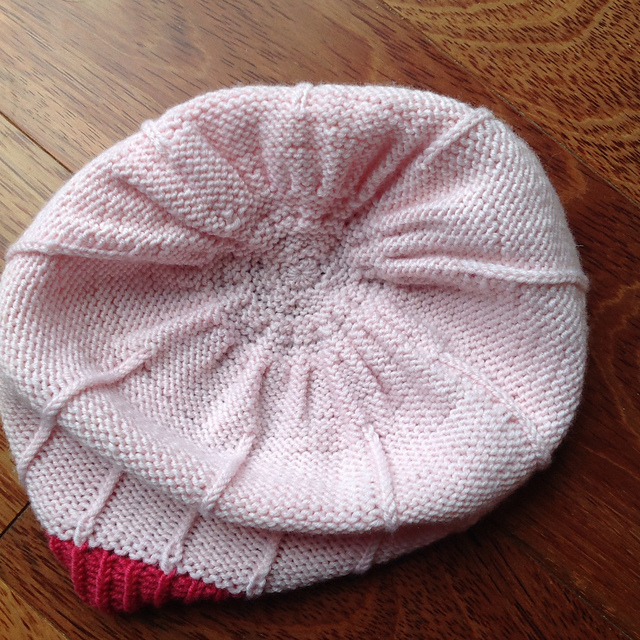 I blocked the hat on a balloon and I think it really neatened up the stitches and gave it good shape. I wish I had a photo of him wearing his hat, because it looks adorable on him. It has a loose slouchy fit and he loves the hat. When he put it on for the first time, this little fashionista (he's not yet two) was admiring himself in the mirror, which tickled me no end. As the pattern goes all the way up to men's sizes I think he's going to be getting many more of these hats in the future, and I plan on making myself one too. For his sister I was informed that pink was pretty much the only colour she was interested in. As some of you might know I'm very anti-pink for small girls as it seems to be the only colour available for them. However, as I love my niece very much and would like my knitwear to be used, I went in hunt of a pink that she would wear and I could tolerate. I found the answer in Petal 122 in MillaMia Naturally Soft Merino. It's a very delicate pink and not too candy floss for my tastes. I also decided to add a contrast to the pretty pink, by adding a hot pink, Fuchsia 143, to the mix. This also served the purpose of bumping up the yarn yardage I had available just in case I needed more than one skein. This yarn is machine washable, though it can't be tumble dried. When the yarn arrived I was pretty happy with my choices, as it often hard to make a colour judgement online. This is a sport weight yarn, and I luckily I had found a suitable pattern in my library, Alternato by Woolly Wormhead, from the book, Classic Woolly Toppers. This time the Alternate Cable Cast On was written into the pattern and it was Woolly Wormhead's tutorial that introduced me to the technique, some time last year, and since then I've used it in all ribbed cast ons. The ribbing on this hat is twisted and this really pops in this yarn. After the ribbing I changed colour to the lighter pink, and still on the smaller needles, used for the ribbing, I knit one round. 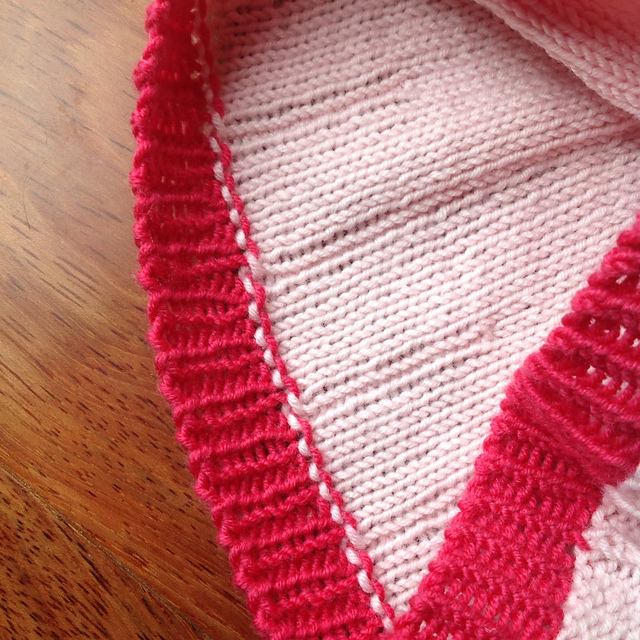 I then did the increases at the end of the ribbing, back in written pattern, and changed to the larger needles. This hid the colour change really well. I knit the main body of the hat inside out to make the reversed stocking stitch a bit more even, as my knitting is much neater than my purling. I think it worked out well. Once again, I blocked the hat on a balloon. 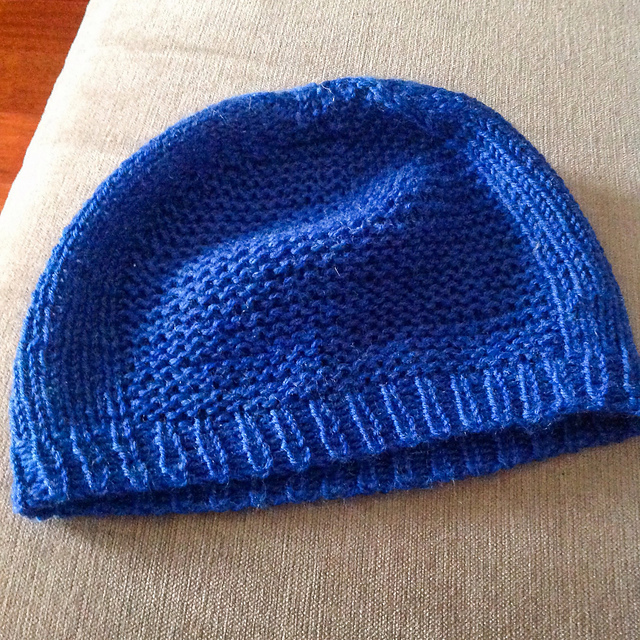 This hat needed blocking much more than the one for my nephew. The decreases on the crown really needed evening up, as they were performed quite rapidly to make the slouch puff out. Again, I don't have a picture of this hat being worn, but I can assure you that my niece looks fabulous in it, and, though I hate to admit it, the soft pink colour looks really good on her. 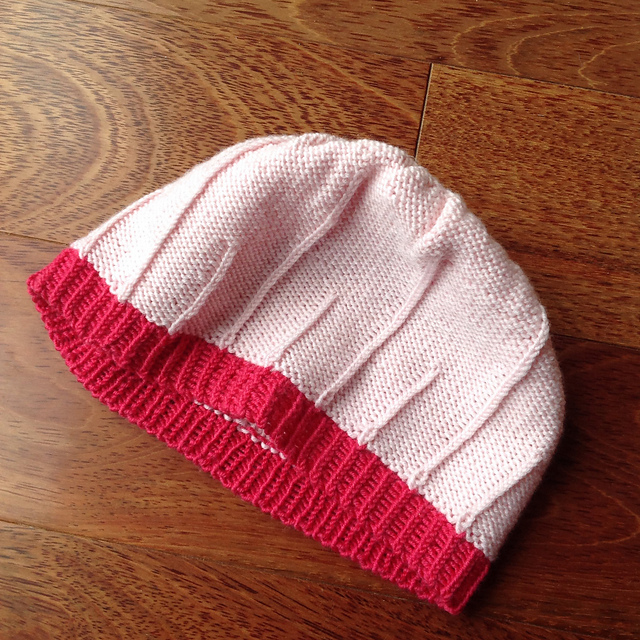 As this hat pattern is also written in multiple sizes I may make her this hat again, as it is a fun knit. I may also make one for myself at some point, as I think it would look great in handspun yarn. As these hats worked out well, I think I can see myself making more for the kids in the future. I really want to encourage their growing love of all things woolly.